The City recently received a traffic safety grant. Part of the grant allowed for the purchase of the speed sign you see on Electron Way. The grant requires that we locate the sign in four different places around town over the next year, so keep a look out for it. The traffic safety grant also includes the use of a speed box. 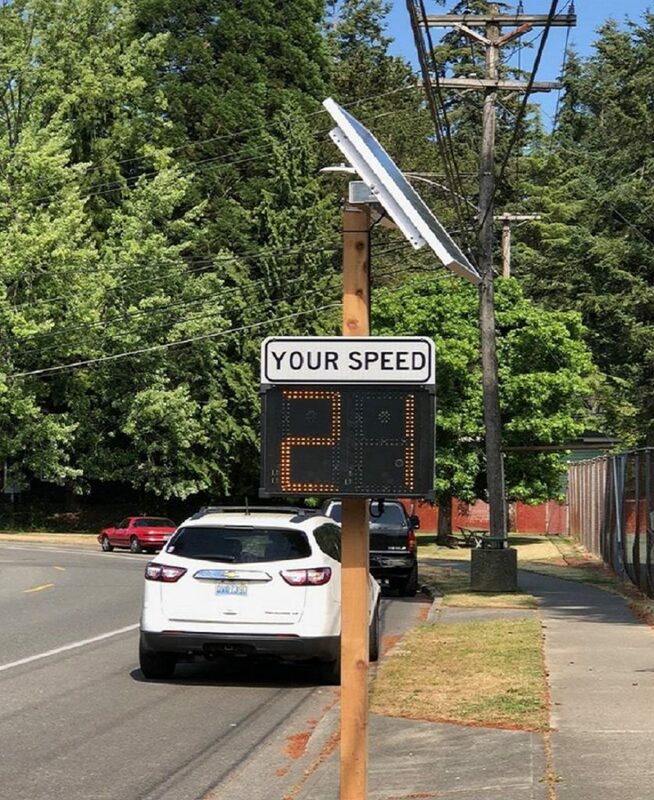 We have worked closely with Public Works in placing the speed box in various locations on Regents Blvd., Alameda Avenue, Electron Way, and Columbia Street. This box gathers vehicle trips and speed data. The nice thing about the speed box is that it is just a box. Unlike the Speed Sign pictured above it does not have a digital speed sign attached so drivers really don’t notice it or even know it is there, and we are able to get a more accurate read of what drivers are actually doing. Here is a summary of what we found. We were very pleased with the overall results. The max speeds were interested and did skew the averages. We were still pleasantly surprised by the average speeds. 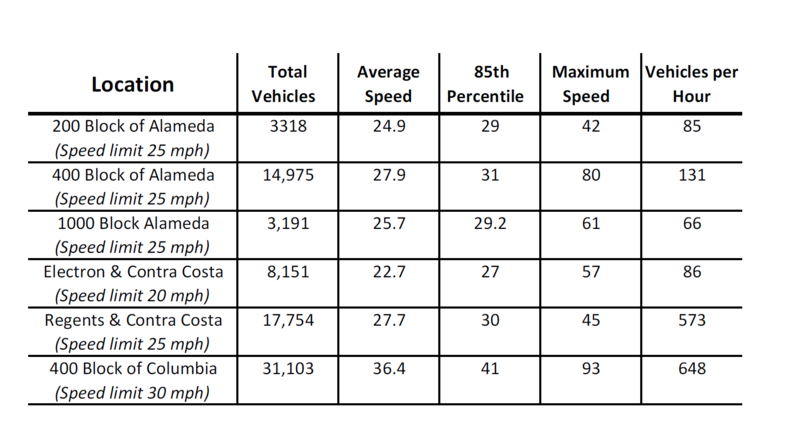 On Columbia, we recorded a second vehicle doing 90 mph and the next highest speed recorded was 61. 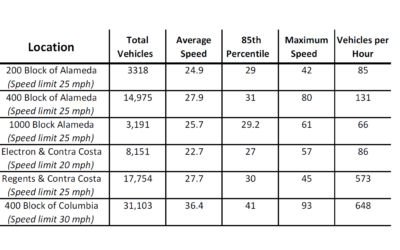 We did have two vehicles recorded at 45 mph on Regents at Contra Costa. Our goal is to use this data to identify problem areas and allocate our resources appropriately to reduce traffic issues.